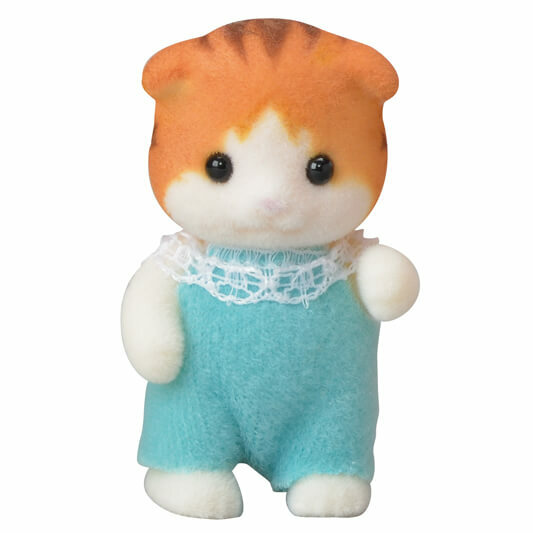 The Maple Cat baby is full of curiosity. He is interested in musical instruments, and wants to play every instrument he sees. Sometimes he lulls his baby sisters by singing and playing his bells. 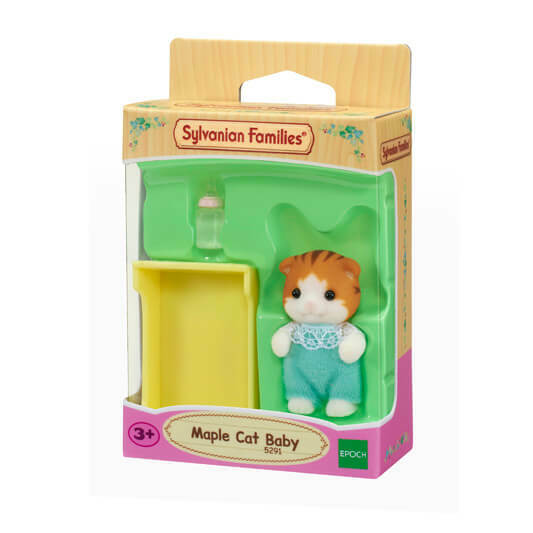 Combine this figure with the Maple Cat Family and Maple Cat Twins (sold separately) to complete the Maple Cat family. Play together with various houses, furniture and other families for even more fun (sold separately). 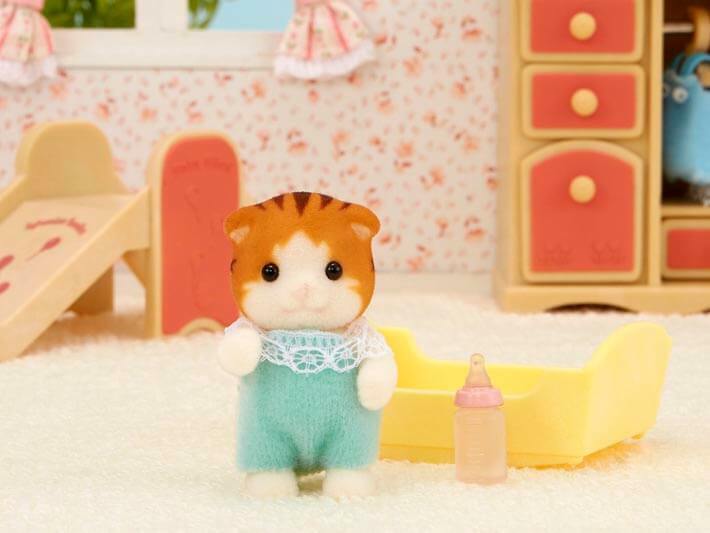 Maple Cat baby, bottle, cot (total 3 pieces).